When you take poor ventilation and excess water, you can begin to grow mold. No one wants to grow mold, but for people living in older buildings in Manhattan the chances of this happening is higher than average. Older buildings tend to have weak or nonexistent ventilation, and this is the main culprit behind mold building up in NYC homes. Homeowners and renters need to take steps to prevent mold, and this is even the case for homes with decent to great ventilation. Below we will go over some basic tips to help keep your bathroom clean from hazardous mold. The most important thing a person should do is clean. 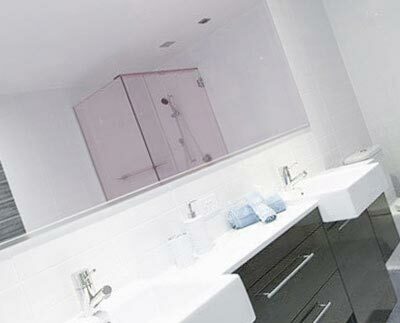 Clean your bathroom on a regular basis and try to implement certain specific cleaning habits. Clean your floors with a multipurpose cleaner, but every other week you should treat your grout with distilled vinegar. This will keep the tiling clean and pretty. When using the vinegar, you will want to scrub the floors with a brush with semi-hard bristles. Besides simply cleaning the floor, you will want to pay special attention to the areas directly surrounding showerheads and bath faucets. Mold can also grow on plastic curtains, so it is important to clean these as well. It is rather common for people to forget or ignore their shower curtains. For starters, make sure that after showers you keep the curtains closed. Keeping them closed with allow for quicker and easier drying. Also, sure make you leave the bathroom door open and the fan on. This will also help for things to dry more quickly. A squeegee is a great tool for helping to keep moister from a bathroom. This tool will allow a person to remove water from mirrors, glass, and other areas. If water is left to sit and evaporate naturally, you could possible deal with mold. Getting water down drains quickly will help to alleviate this problem. Usually people ignore plumbing problems until they become unbearable, but you shouldn't wait that long. Leaky faucets and slow moving drains can leave moister in a bathroom that should be removed. Plumbing problems don't fix themselves, and so for certain jobs you will want to call for a plumber in NYC. The small plumbing bill is much better than an expensive mold remediation service. Taking care of mold quickly is important for the health of people using that space. If you see mold beginning to grow, you must get rid of it.